"If an alien in a titanium spaceship landed in New York would that be a big deal? Jesus, entirely alien from anything we know, landed on earth in Bethlehem" over 2000 years ago, and he didn't even use a spaceship. We call this the incarnation, and according to Alan Root who penned that quote, there is no bigger miracle than God visiting our planet in an earth-suit (so far anyway!). Alan writes Orthodoctrines for Kidzmatter magazine as well as group discussion workbooks for tweens on doctrine. You can find the article on the incarnation in the Jan.-March 2017 issue. You can order the study guides through Kidology.com. 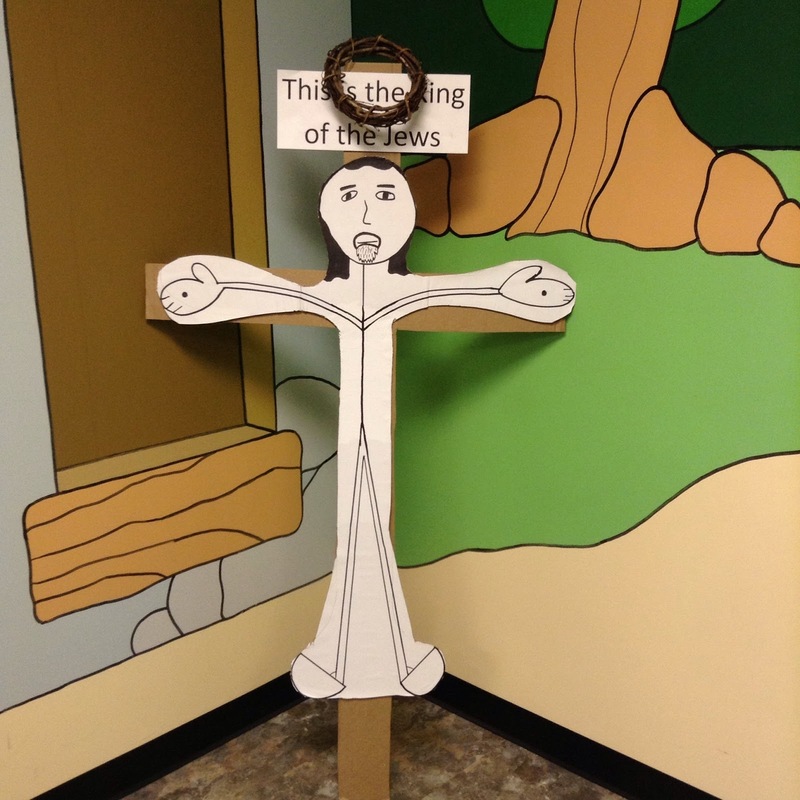 How about teaching the truth of the incarnation to kids younger than tweens? It is never too soon to introduce the idea of the pre-incarnate Christ in children's minds. Isaiah 6 is a perfect chapter to launch from. 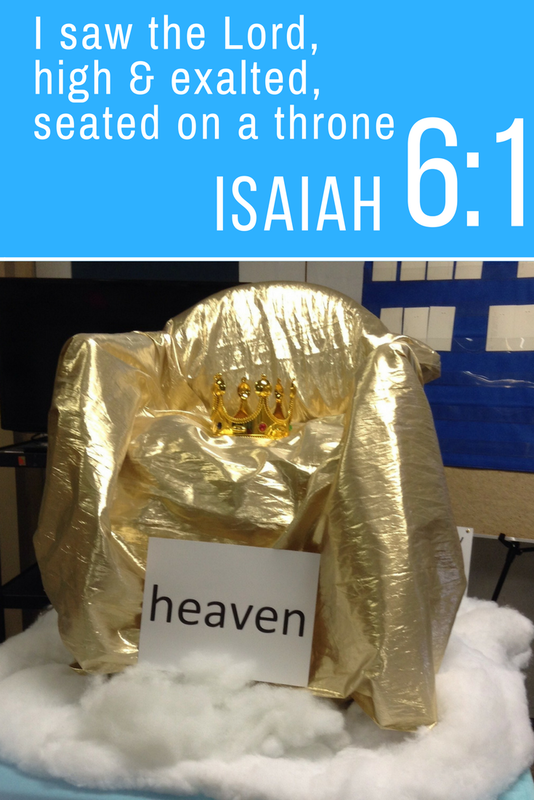 Isaiah sees a vision of the Lord, high and lifted up, seated on a throne. In the New Testament, John clearly states in his gospel chapter 12 verse 41 that Isaiah was seeing Jesus. After quoting from Isaiah 6 in verse 40, John writes, "Isaiah said this because he say Jesus' glory..." The kids were blown away. Wow, how can he see Jesus before he was born? At this point in my lesson, I uncovered the throne that you see pictured above. 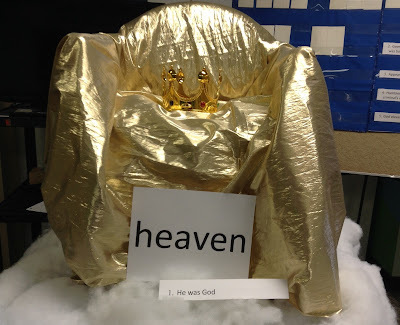 It is so visual, the kids can imagine that there was someone seated on the throne. But how could it be Jesus? This gave us great opportunity to explain how Jesus always existed because he is God. 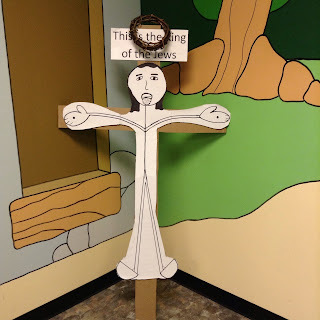 We looked at how God says "Who will go for US?" 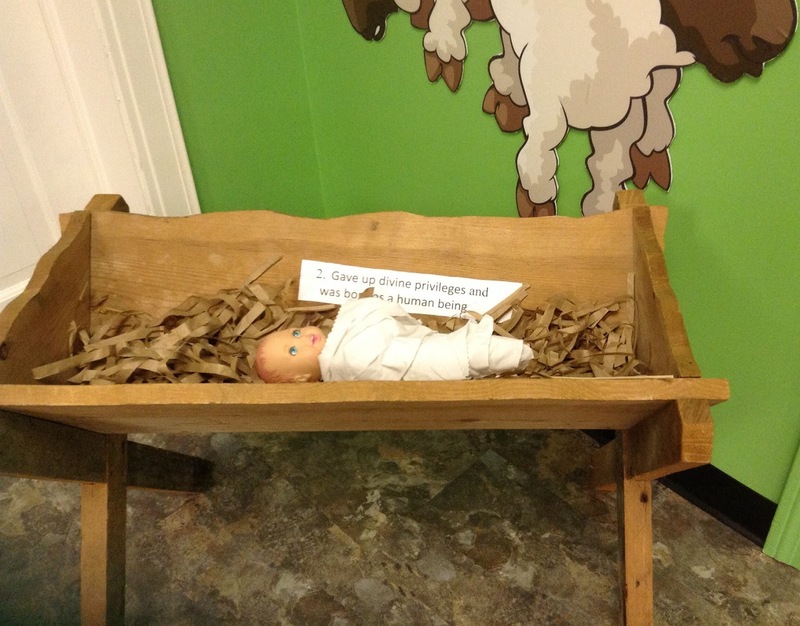 in Isaiah 6, showing that he is more than one person. We didn't delve into the trinity because the point was to help them understand the pre-existence of Jesus before he came to earth. 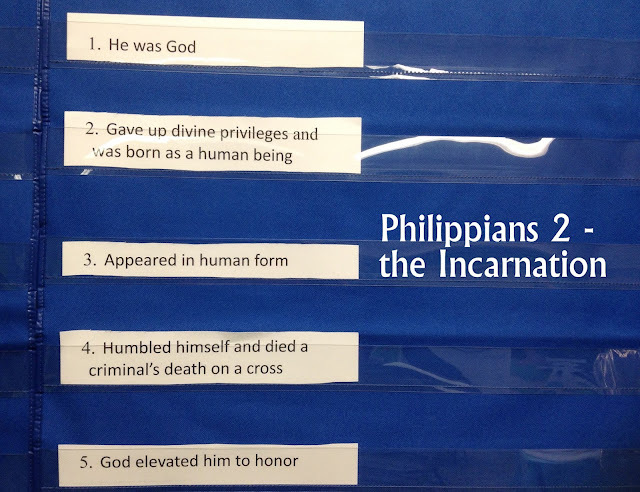 The Incarnational Relay Race is a relay race I made up to help kids lay hold of the incarnation. Philippians 2:6-9 pictures, well the whole picture, perfectly. These verses take Jesus from his pre-existence as God in heaven to being made human to death on the cross to going back up to heaven. 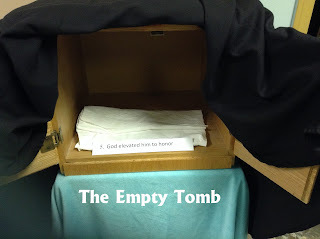 I taught this at Christmas, but I re-introduced it when we examined Isaiah 6. It would also be great for Easter. 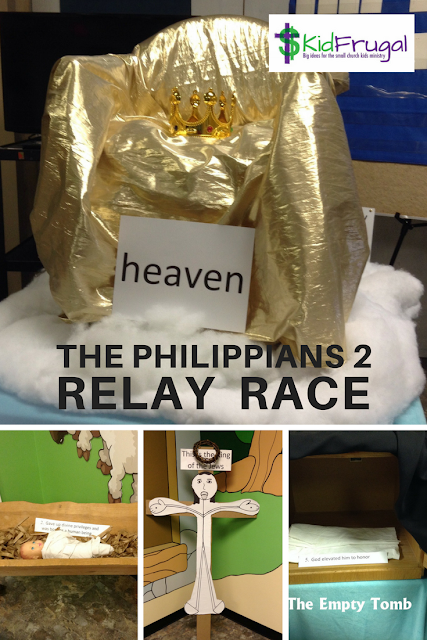 This "race" has 4 "stations," beginning and ending at the throne in heaven. Choose a song to play. The kids are racing as teams against the song. Break the kids up into teams of 4. Child #1 grabs the crown runs to the manger, leaves crown in manger and takes baby from manger to cross, leaves the baby at the cross, takes the crown of thorns from cross to tomb, leaves thorn crown in tomb and takes the linen from tomb to the throne. Now everything is out of order. They keep running the circuit until it is all back in the right order. The object is to get it all back right before the song ends. It only takes 4 kids to do this. Incarnation Relay Race Isaiah 6 from Joan Eppehimer on Vimeo.